ACARA’s Tracy Zilm explains how the Australian curriculum prepares students for a complex and uncertain future. How well do you remember 2005? Internationally renowned burns specialist Dr Fiona Wood was named Australian of the year, England won the Ashes for the first time since 1987 and a video- sharing website called YouTube was launched. For the high school graduates of 2017, 2005 also marked the start of their secondary education. The world has changed a great deal since. Students who began their first year of schooling in 2017 will graduate from high school in 2029. They will enter a workforce full of occupations and opportunities that don’t exist. The education they receive over the next 13 years will need to equip them with the skills to thrive in and shape that unknown future world. In 2008, the Australian Curriculum, Assessment and Reporting Authority (ACARA) commenced the development of the latest iteration of the national curriculum for Australia. The process that followed involved thousands of educators drafting, writing, trialling and refining what students were to learn in schools across the country. Last year, ACARA completed the first iteration of the Australian Curriculum for students in Foundation to Year 10 – the Auslan and Classical Languages curricula. The national web-based curriculum can be accessed by teachers, parents, students and educators across the country and internationally. It sets the expectations of learning for all Australian students, regardless of their location or background. Countries and organisations around the world are working to design curricula that are deliberate, comprehensive and systematic in supporting and developing young people. The Australian Curriculum, with its three-dimensional structure, is leading the way. A three-dimensional curriculum means that it must be an evolving product. If we accept, as the evidence all around us indicates, that students need to be creative, critical thinkers and responsible citizens who can manage rapid technological and social change, then our curriculum design needs to reflect this and should continue to be updated. Part of this three-dimensional structure is an understanding that international educators and governments are emphasising 21st century skills as essential to curriculum design. The Organisation for Economic Cooperation and Development (OECD) is one of many international forums leading the exchange of research and ideas, and ACARA is contributing on Australia’s behalf. More than 30 countries around the world are participating in this project to explore curriculum design and its implementation. Key to this is defining the learning priorities and objectives that educators and policymakers must consider during their curriculum development process. “So how does a national curriculum prepare Australians for a globalised world that is complex, uncertain and volatile?” (Taguma, 2016). it integrates eight learning areas, seven general capabilities and three cross-curriculum priorities. General capabilities equip students to engage effectively with global, national and local issues. Cross-curriculum priorities give a focus across subjects on priorities critical to Australia’s future. Learning areas focus on the inclusion of staple topics such as English, Science and the Arts. The Australian Curriculum is both structured and agile. Teachers can adapt its content to the needs of their communities and students. For example, teachers in a regional school community may focus a unit of work on local geography, agriculture, sustainability, and critical and creative thinking. An inner-city school may focus on the impact of urbanisation on the environment, with a focus on sustainability and personal and social capability, while accessing the same curriculum dimensions. The learning areas (Mathematics, English, Science, Humanities and Social Sciences, Technologies, the Arts, Languages, and Health and Physical Education) are widely recognised as the basis of teaching, learning and timetable structures in schools. Each learning area outlines the knowledge, skills, understandings and values of successful learners, as described in the Melbourne Declaration on Educational Goals for Young Australians in 2008. Cross-curriculum priorities include Aboriginal and Torres Strait Islander Histories and Cultures, Asia and Australia’s engagement with Asia, and Sustainability. These priorities each give students the tools, values and language to engage with, and better understand, their world. They are developed through learning area content, which specifies what is learned in a topic. Incorporating the priorities in teaching and learning also encourages conversations between students, educators and the wider community. ACARA produces a number of online tools and resources to support schools and teachers in engaging with the Australian Curriculum. From Foundation to Year 10, the Australian Curriculum’s achievement standards show the expected breadth and depth of learning that students should typically demonstrate by a particular age or stage. The achievement standards are accompanied by portfolios of student work that illustrate this, allowing educators to make judgements about whether students have achieved the standard. Schools can use these work samples as a basis for moderation conversations or professional learning activities. Work samples contribute to a shared understanding of standards, and build consistency and confidence in making judgements about students’ progress and performance. When teachers have a solid understanding of the design and intent of achievement standards they can make connections to the other dimensions of the curriculum. Science, Technology, Engineering and Mathematics (STEM) education has recently become the focus of considerable political, industry and media commentary in Australia and overseas. ACARA’s STEM Connections project presents a cross-disciplinary approach to the teaching of STEM subjects. The resources illustrate how schools can increase student interest in STEM-related learning, while improving students’ problem-solving and critical analysis skills. They are another demonstration of how the three dimensions of the Australian Curriculum work together. ACARA has developed illustrations of practice to support the implementation of the Aboriginal and Torres Strait Islander Histories and Cultures cross- curriculum priority. The illustrations of practice have been gathered from a diverse group of Australian schools that have shared their stories of innovation and inclusion. Illustrations of practice cover a range of learning areas such as Science, Work Studies, HASS and Technologies, demonstrating how the three dimensions of the Australian Curriculum can work together in any classroom setting. The Aboriginal and Torres Strait Islander student enrolment varies across the schools. Educators can be inspired by the creative and effective approaches used by these schools. Student Diversity materials guide school leaders and teachers on how they can use the three-dimensional design to differentiate curriculum for all students. Teachers are guided by a flow chart which outlines the process for personalising learning for all students. Additional advice is available to help teachers plan programs for students with disability, gifted and talented students, as well as English as a second language students. Illustrations of practice show authentic examples of how schools are using the exible design of the Australian Curriculum to meet the diverse learning needs of students. While the world was a vastly different place in 2005, ACARA’s development of the Australian Curriculum as a multifaceted and exible framework will remain relevant for decades to come. The design of the curriculum ensures that teachers and students can understand, adapt to and take action within the ever-changing reality of their lives, regardless of whether YouTube remains in the fold. ACARA. (2012). Curriculum Development Process, Version 6. Sydney: Australian Curriculum, Assessment and Reporting Authority. ACARA. (2012). The Shape of the Australian Curriculum version 4. Sydney: Australian Curriculum Assessment and Reporting Authority (ACARA). ACARA. (2013). Curriculum Design Paper v3.1. Sydney: ACARA. Ministerial Council for Education, E. C. (2008). Melbourne Declaration on Educational Goals for Young Australians. Canberrra: MCEECDYA. OECD. (2013). Synergies for Better Learning, an International Perspective on Evaluation and Assessment. Paris: OECD publishing. Taguma, M. &. (2016). E2030 Conceptual Framework: Key competencies for 2030 (DeSeCo 2.0). Paris: OECD, Directorate for Education and Skills. Tracy Zilm is the Curriculum Specialist, Health and Physical Education, at the Australian, Curriculum, Assessment and Reporting Authority. 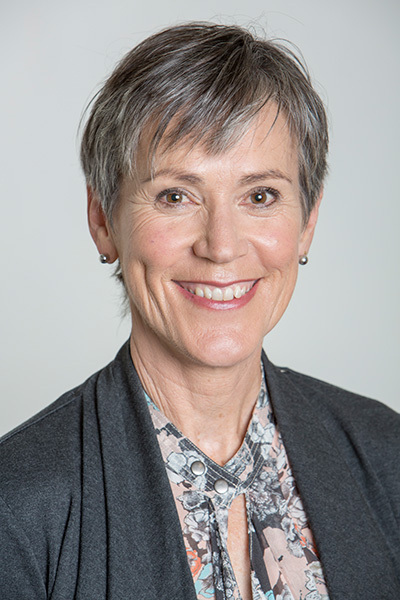 She manages ongoing development, monitoring, research and stakeholder engagement in order to support the implementation and enhance the effectiveness of the Australian Curriculum: Health and Physical Education. Tracy has more than 40 years’ experience within a variety of settings and leadership roles across Australia and overseas. She has taught in city and country high schools, held a national leadership role with MindMatters (the national mental health in schools initiative) and lectured at universities and tertiary institutions in South Australia and England. She has spent years developing, presenting and monitoring professional development tools and training activities that encourage educators, school communities and other organisations to re ect on and plan how they support learning. 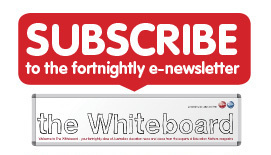 To keep up to date with Education Matters Magaine, subscribe to our free email newsletters delivered straight to your inbox. Click here. © EduMatters Magazine, Prime Creative Media Pty. Ltd. All rights reserved.